Families in need were served on December 17, 2016 as invited guests of LESEA Global Feed and New Home Ministries. A day without hunger took place at New Home Ministries, located at 1616 Robert C. Blakes, Sr. Dr., New Orleans, LA 70130, from 9am to 5pm to receive a Family Food Pack of food staples. 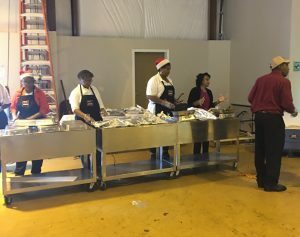 New Home Ministries and LeSEA partnered along with others and served the first one-thousand families during the holidays. Through the partnership NHM and LeSEA are striking a blow against hunger in the Greater New Orleans area.